Lord willing, Tuesday I’ll pick my wife up at the airport in Detroit. 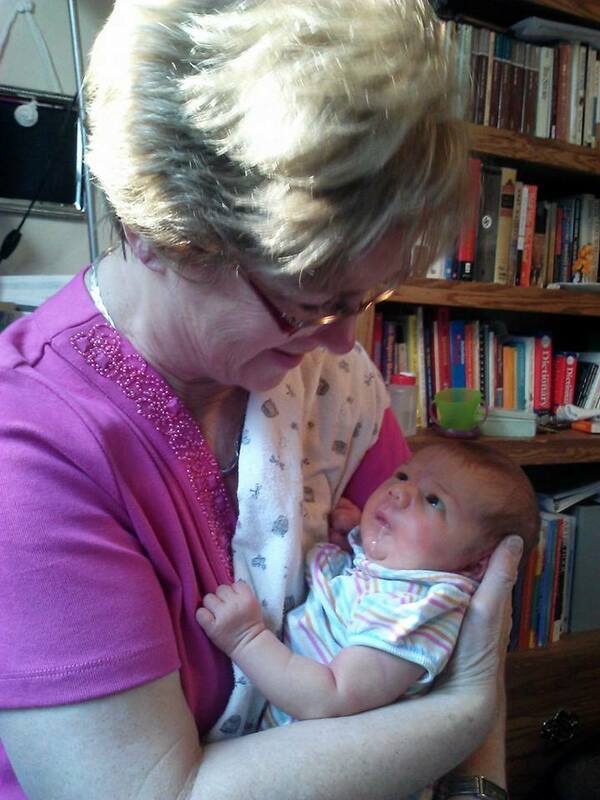 She will have been gone two weeks to visit our daughter and new grand baby, and there is nothing that makes a man appreciate his wife more than her being gone. Now, don’t get me wrong. I can cook and I can clean. That’s the easy part. I can even do laundry, although I haven’t done it yet. Katie doesn’t have to do everything, even when she is here. But when she is gone I have to do more. And when you do the thing your partner usually does, you get a better sense of what she does. And you get a better sense of why you appreciate the things you do together. Like errands. Yesterday and today I’ve been out to the landfill, an electronics store , the recycling center, the dry cleaner, the office supply store, the grocery store, the mechanics, the gas station—and it strikes me these things are not as fun to do alone as when you are together. And I seldom do them alone, while she often does. And even though I like to cook, that isn’t as much fun alone either, especially since Katie usually cleans up. I’ve run the dishwasher a few times, but the 12-place tea service I got out last week when students came over is still setting on the counter. I did remember to water the plants today, however. For the first time. I’m sure there are plants that will not survive her absence. In fact, I’m pretty sure there are plants I don’t even know about. I’ve also eaten out more than we usually do, and I may or may not have eaten things that weren’t good for me. I fed the barn cats every day, though, although not as early as Katie does. When they start to fling themselves against the window I usually notice. But this I have noticed. I’m blessed to have a helpmate who helps. Even while she is away she is working hard, helping with the three boys, preparing meals, freezing meals, putting new elastic in cloth diapers. It’s not like I didn’t know what to do. Katie left me a list and I’ve looked at it every day. It is a guide to getting things done. Number 5 was to replace the belt on the vacuum and I haven’t done that. Yet. And I still have time to check the voice mail (Number 7) before she gets here. 2) As God wills, I’m coming back to be with you! What a gracious God I have. Here is an interesting paper on what modern feminists don’t understand about Puritan women. This is so nice to read. You’ve been quiet for so long. I was a little bit worried. Thanks, Grace. All is well. I had some additional responsibilities at the university last spring, and over the summer we were dealing with some health issues with Katie. Serious, but not life threatening. I think I’m back to the place I can blog once or twice a week again, however. As God will. Be blessed, my friend. Great post Wally! We are very blessed guys. RIP to all those plants lost. Great post Wally, as usual. 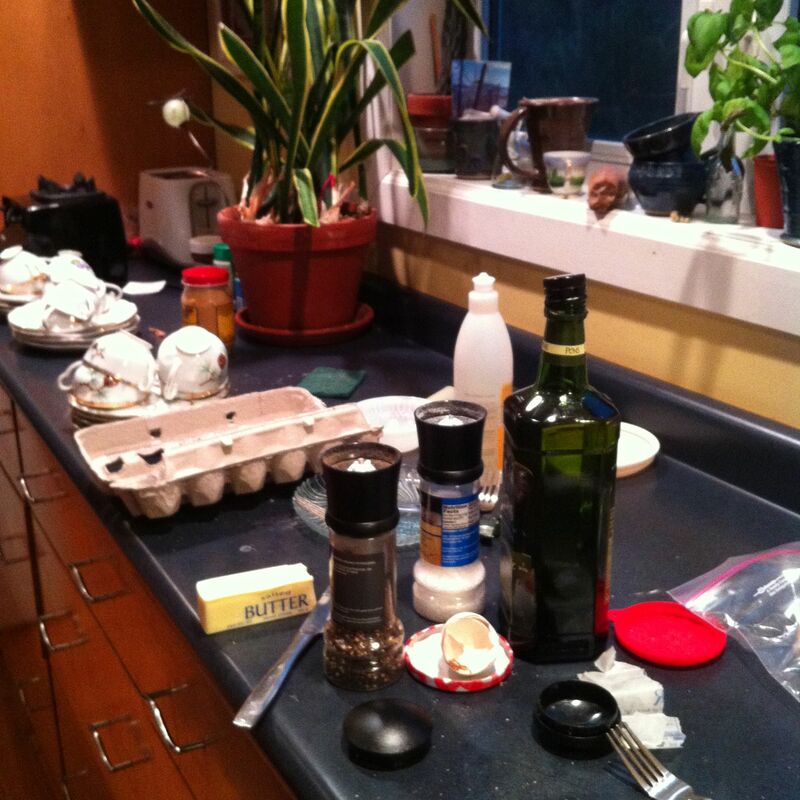 Val and I have been cooking for most of our meals – it’s a lot of work, especially the cleanup! Thanks for blogging again!